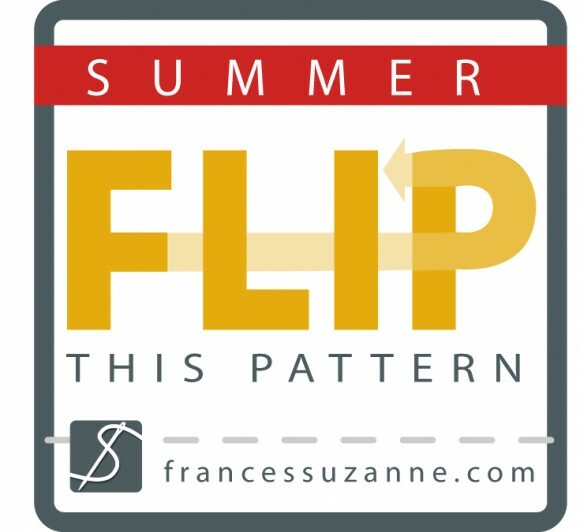 The lovely and talented sister team over at Frances Suzanne is gearing up to host another year of Flip This Pattern. You’ll remember last year in July, the pattern to flip was the Roller Skate Dress. 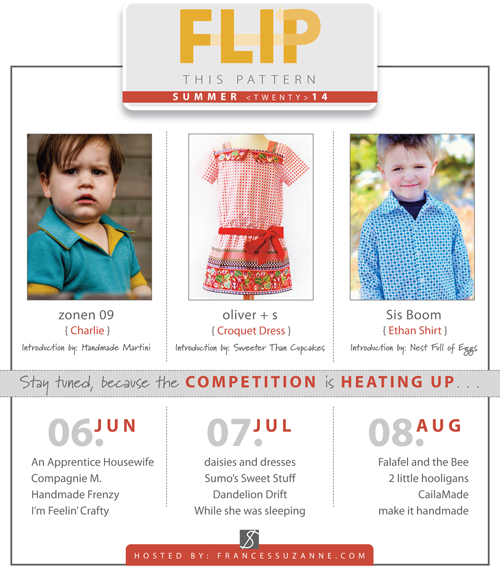 This year for July the featured Flip This Pattern is the Croquet Dress. So mark your calendar, plan ahead, and think of ways to you can customize the Croquet Dress. Do you remember this amazing orange silk Croquet Dress that was featured in Sew Beautiful magazine? More inspiration can be found in the Flickr Group from the previous ways people have sewn it up. Oh goody the Croquet dress! I’ve had it on my “to sew” list for some time and have been brainstorming ideas for a while so this is perfect timing for me ;). Can’t wait to sew along and see what everyone creates! I love the Croquet dress! The bow and vintage style are so appealing to me. Yet, my daughter insisted my version was meant to be worn as a nightgown (http://sisforsewing.wordpress.com/2012/10/04/i-saw-it-coming/). Maybe it’s time I give it another try? We are SO EXCITED to have the Croquet Dress featured in the summer series for “Flip this Pattern,” and can’t wait to see what FLIPS emerge as July progresses! !